10 Things You Might Not Know About THE MAN FROM U.N.C.L.E. | Warped Factor - Words in the Key of Geek. 10 Things You Might Not Know About THE MAN FROM U.N.C.L.E. No man is free who works for a living. But, Geek Dave is available. 1. Whilst he was developing what would become The Man From U.N.C.L.E., co-creator Norman Felton approached James Bond author Ian Fleming to assist with the concept. The book The James Bond Films says Fleming proposed two characters, Napoleon Solo and April Dancer (The Girl from U.N.C.L.E. ), with Solo being a small screen American version of James Bond. Charming, efficient, sophisticated and with a weakness for beautiful women. 2. Fleming had already created a character called Mr. Solo. Appearing in the novel Goldfinger, he was eventually played on screen by Martin Benson. Mr. Solo was the only gangster not to sign up for Goldfinger's plan to raid Fort Knox, and subsequently ended up getting crushed in his car. Fleming gave his permission for both the use of his name and the character's name for the new series' title. And so production began in November 1963 on a pilot for "Ian Fleming's Solo". 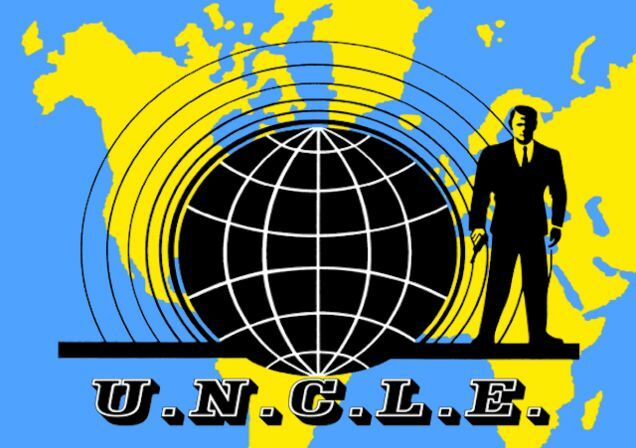 However, in February 1964 the Bond movie producers, who were just beginning filming Goldfinger, threatened legal action, and the title was changed to The Man From U.N.C.L.E. 3. Originally, co-creator Sam Rolfe wanted to leave the meaning of U.N.C.L.E. ambiguous so it could refer to either "Uncle Sam" or the United Nations, but Metro-Goldwyn-Mayer (MGM) legal department had concerns about using "U.N." for commercial purposes and insisted that the producers' clarify that there was no United Nations connection. So each episode had an "acknowledgement" to the U.N.C.L.E. in the end titles, and revealing the acronym stood for United Network Command for Law and Enforcement. 4. THRUSH was never used as an acronym in The Man From U.N.C.L.E., although it was always assumed by many that the letters did stand for something, neither did the series ever divulge who or what THRUSH was. Yet, in The Man From U.N.C.L.E. novels, written by David McDaniel and first published in 1966, the author created both an acronym and back-story for THRUSH. The "Technological Hierarchy for the Removal of Undesirables and the Subjugation of Humanity" was described as having been founded by Col. Sebastian Moran after the death of Professor Moriarty at the Reichenbach Falls in the Sherlock Holmes story, The Final Problem. 5. The role of the head of U.N.C.L.E. in the pilot was Mr. Allison, played by Will Kuluva, rather than Mr. Waverly played by Leo G. Carroll, and David McCallum's Illya Kuryakin only had a brief part. After it was completed NBC was not happy with the pilot. One executive wanted to drop someone but could not remember his name, saying "K...K...". 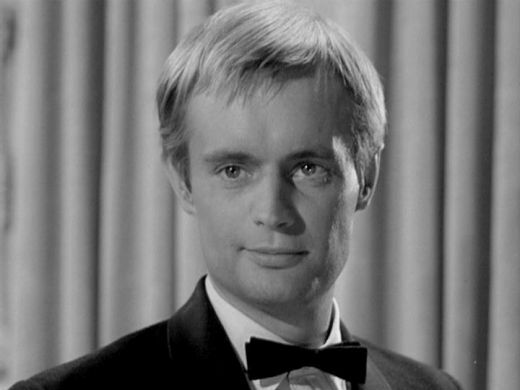 Although he was referring to David McCallum's character Kuryakin, Felton replied "Kuluva?" and the executive replied "'That's it.'" Felton did not argue as he wanted to keep McCallum and replace Kuluva anyway. He wasted no time in approaching Leo G. Carroll to be the new head of U.N.C.L.E. When the same executive discovered that Carroll had been hired he had further concerns that the actor be far too old to be Solo's sidekick. After Felton revealed that it was Will Kuluva who had been replaced and not Kuryakin the executive was furious, but it was too late as contracts had been signed. 6. The Man From U.N.C.L.E. owes just as much to Alfred Hitchcock as it does to Ian Fleming, the touchstones being Notorious where an innocent is recruited by a professional spy organization and North by Northwest, where an innocent man is mistaken for an agent of a top-secret organization, one of whose top members is played by Leo G. Carroll. In fact it was that role which led directly to Carroll being cast as Mr. Waverly in the show. 7. 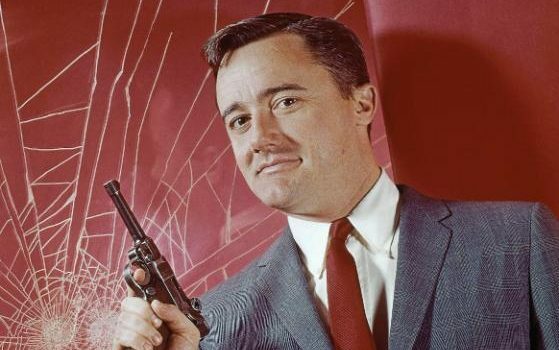 Robert Vaughn worked on his Ph.D. during the course of the series and was often allowed to leave the set early so that he could attend night classes. 8. 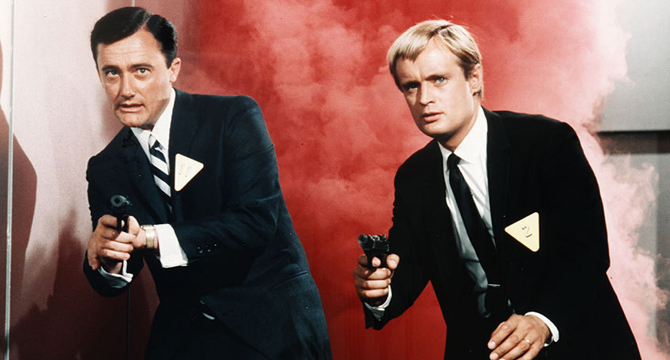 Originally Napoleon Solo was to have been the main focus of the series, but Russian agent Illya Kuryakin drew huge enthusiasm from the fans and the agents were paired. How much enthusiasm? Well, whilst playing Kuryakin, McCallum received more fan mail than any other actor in the history of MGM! Such was the hysteria around him for a time he was referred to, in newspaper reports, as "The Blond Beatle". 9. Among the many guest stars featured on The Man From U.N.C.L.E. were both William Shatner and Leonard Nimoy. The two Star Trek actors appeared on screen together for the first time in the 1964 episode The Project Strigas Affair. The same year, at the tender age of 12, a young Kurt Russell appeared in the episode The Finny Foot Affair. 10. 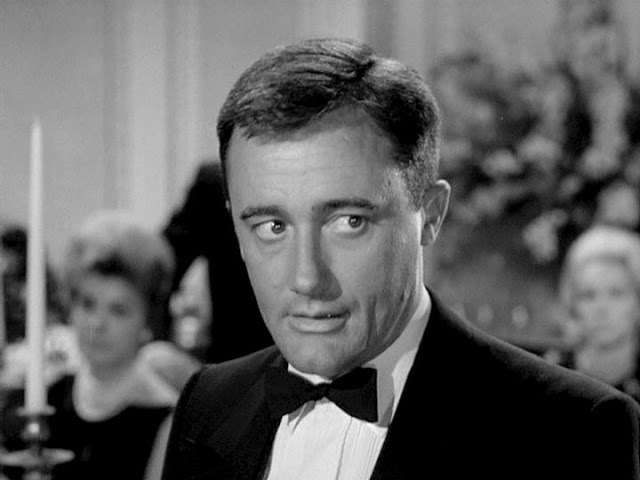 In a late 1986 episode of The A-Team, Robert Vaughn - who had been added to the show's cast as mysterious retired agent Hunt Stockwell for the show's final season, as part of a revamp effort to revive flagging ratings - was reunited with guest star David McCallum, in an episode entitled "The 'Say U.N.C.L.E.' Affair". 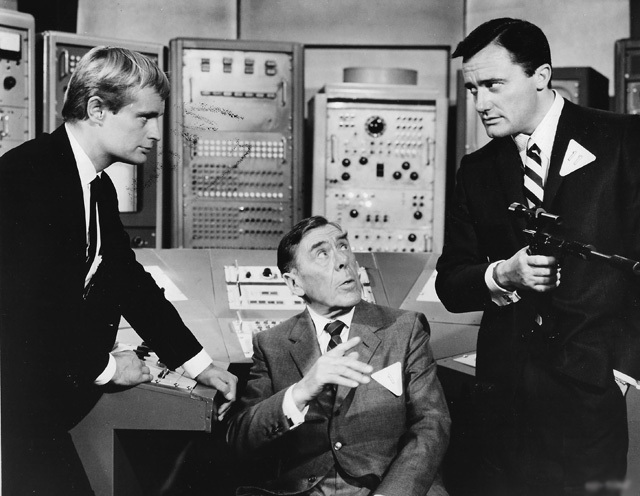 This story paid homage to The Man from U.N.C.L.E., complete with "chapter titles", the word "affair" in the title, the phrase "Open Channel D", similar scene transitions, and much mention of Vaughn and McCallum's respective characters having once worked closely together as agents. However in this story, McCallum's agent had gone bad, selling out to the enemy and now capturing Vaughn to try to find out the whereabouts of a Soviet jet fighter.